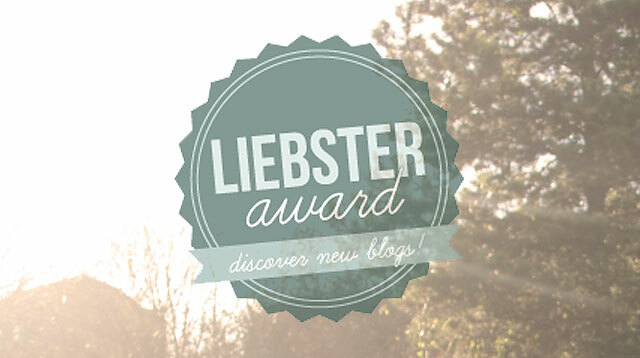 HomeI’ve been nominated for The Liebster Award! Westfourteen is a lovely new blog, started mainly for the purpose of creating portfolio to use as part of her degree. Sadly i don’t know much more than that about her other than that she posts beautiful pictures and great content! She’s also a fan of my blog which is SO lovely to hear! My blog is still so new and as far as i was aware the only people that read it are people that i know! So to hear that not only does Westfourteen read my blog, but she also takes inspiration from it was the nicest thing ever to read! So thank you SOOOOOOOOOO much! So……..the award! Here are the rules, all of which i’m about to break! Lets start with who i’m nominating and why! 1. Tales of a Traveler – I may be slightly bias on this one, due to the fact that i know the writer. However, that only makes her blog even more awesome! A travel blog documenting all her adventures and now her new somewhat settled life in London. 2. My Cup Of Beauty Blog – I can’t tell you how much i love the design of this blog. It’s fantastic and very much puts me and my media degree to shame! The content is also always really lovely, she feeds my beauty needs! 3. Em Talks – A really lovely lifestyle blog, her photos are great! 4. The Perks Of Being Amy – I love Amy’s style of writing so much, and how she doesn’t mind giving us a real insight into her life. Plus shes only 18, shes achieved so much already, really impressive. 5. Life As a Petite – I’m also a shortie! So i love her tips on fashion. Now i realize i have only nominated 5 blogs, all of which have waaaaaaaaaay more than 200 followers, but i couldn’t help myself. They are the blogs i love. I would also love to add The Londoner in here but i realize probably everyone has already heard of her! 2. What is your fave city in the world? 3. What is your no.1 go to beauty item? 4. What is your fave restaurant/ type of food? 5. Do you blog full time? If not, what is your “normal” job? Apologies for not sticking to the rules properly! But i’ve never been good with rules! Look forward to hearing all your responses. ← My best friends birthday!